Sometimes, during the darkest night, I am forced to get up. I walk, sleepdrunk, over to the door and take down a dreamcatcher now sagging on a nail by the door. I take it outside and walk out to the river that flows silent but strong behind the house and I shake the dreamcatcher over it, as if emptying a chamber pot. I straighten my back and look up at the stars, if there are any, and then walk back to the house. 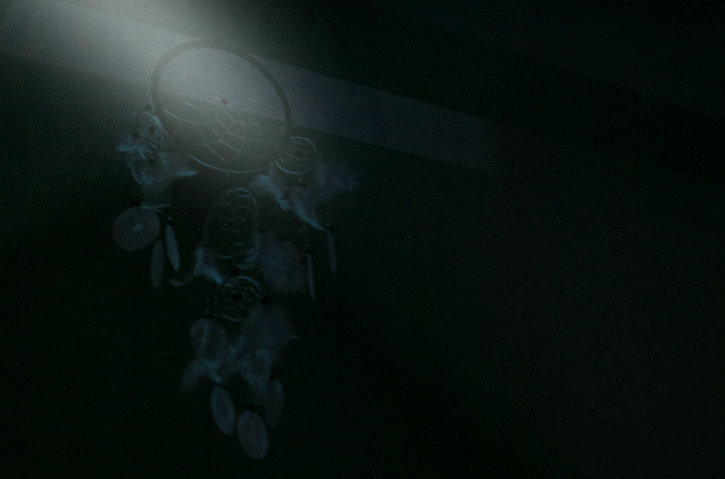 Once inside I re-hang the dreamcatcher on its nail and go back to sleep. It sags no longer and the wife and son, who had started to stir and turn in their sleep from the dreams that got through, calm noticeably. In the morning someone will find small animals downstream, dead and stiff in a posture of great pain.